When Ryan saw these green little cabbages hanging out in our fridge, he mentioned his excitement over the return of brussels sprouts. I couldn't agree more, I'd been waiting for them to come back in season and now that they're here, you can count on them popping up in a few more recipes in the near future! Although this wasn't my favorite brussels sprouts dish I've made, I really liked it. This was on the savory side, whereas others I've made have been sweeter (no surprise that I preferred those, ha!). Those with less of a sweet tooth (or rather, a mouth of sweet teeth) would probably love this version. 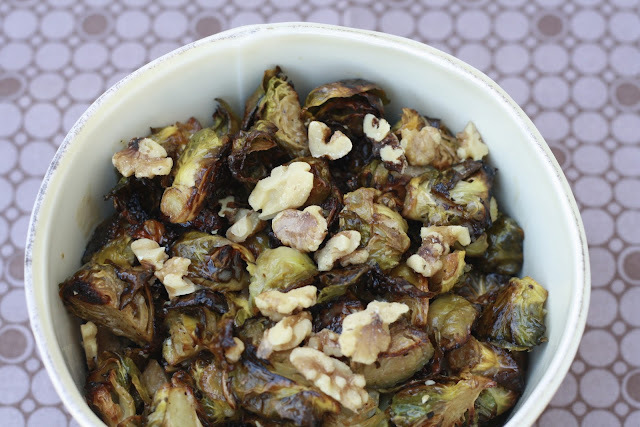 Add it to your Thanksgiving dinner list, brussels sprouts belong on the table! Today my brother-in-law Justin (from my tiramisu story) is getting married to a rather wonderful woman who I am proud to call my newest sister! I'm off toasting to their new life together and rocking the dance floor ;) Congrats you two! 2. Spread walnuts in a pie plate and place in the oven, toasting for about 8 minutes, until golden. Once cooled, coarsely chop the nuts. 3. In a small bowl, whisk the vinegar with the mustard and honey. Whisk in the remaining 1/2 cup of olive oil until emulsified. Add the capers, garlic, shallots and anchovies. Season with salt and pepper. Add the brussels sprouts and walnuts. Toss well and serve immediately. 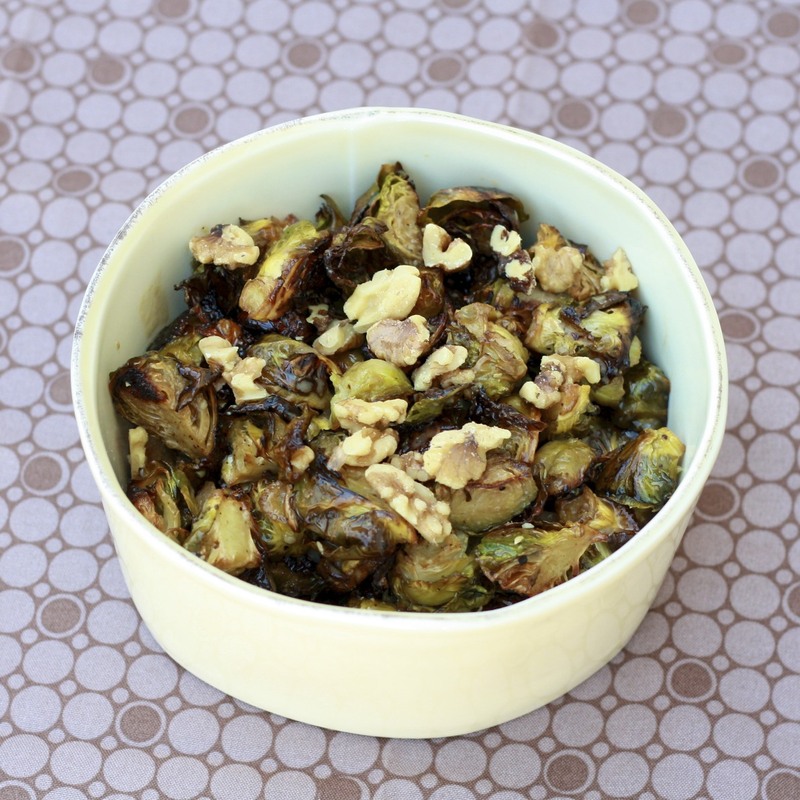 *Note--the brussels sprouts and dressing can be made up to 4 hours ahead of time and kept (separately) at room temperature. Rewarm the brussels sprouts before serving.